Founded in 1975 by Paul F. Dunn Jr., D & D Kitchen Center is a family-owned business in Albany, GA. Serving residential customers, our company manufactures custom cabinets of all types and provides complete bathroom, kitchen, and other remodeling services. 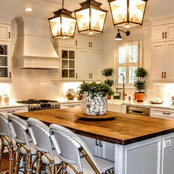 Our experienced craftsmen at D & D Kitchen Center are committed to quality craftsmanship and customer satisfaction. With a knowledgeable staff and the superb accuracy of our design technology, we’re able to produce top-of-the-line cabinets for our customers. D & D Kitchen Center works with your contractors and interior designers every step of the way to build the cabinet work of your dreams. We are equipped to meet all of your cabinetry needs, to include full kitchen and bath remodels as well as commercial casework. 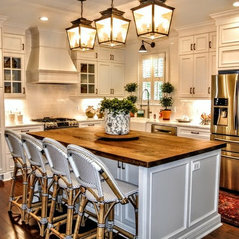 Remodels Our staff has years of experience and can assist you with all of your kitchen and bathroom remodeling needs. We will work with you to design, build and install all new cabinets that suit your space and budget. We can also update your current cabinets by refurbishing them or building new doors and drawers to give them a whole new look. 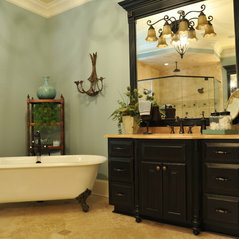 For more information about our remodeling services, visit our Remodels Page. Countertops & Hardware We offer a full range of countertop materials including: Formica, Cultured Marble, Granite, Marble, Quartz (such as Silestone, Cambria, Zodiac and Caesarstone), Solid Surface Corian, and more. We also have a wide variety of hardware and hinge options to meet your design needs. For help selecting the finest counters for your kitchen or bathroom, give us a call today. Professional Installation Our experienced installation crews will go above and beyond to bring a fresh, new look to your home or office. The D & D Kitchen Center installation staff will work quickly and efficiently to ensure a professional cabinet installation. To learn more about our custom cabinets or highly-qualified staff, contact us today by calling (229) 883-8687. We look forward to hearing from you! We couldn't have asked for a better experience. 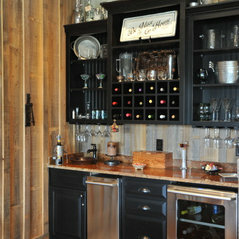 D&D provided a fantastic experience and final product - real wood, custom built cabinets! what a joy to work with!!!! Thanks Mrs. Joan and Mr. Paul. 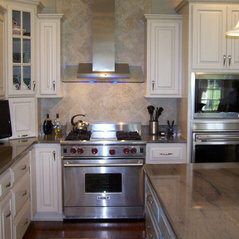 if cabinets and countertops is what you are looking for D&D are the people for the job. Top rated professionals. D&D does high quality custom work. Pleasure to deal with from start to finish. 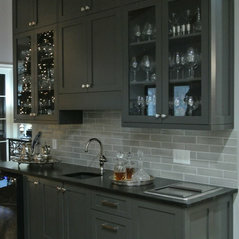 We love all our cabinets, and we would not hesitate to use them again.